From Publishers Weekly Set in 12th-century England, the narrative concerns the building of a cathedral in the fictional town of Kingsbridge. The ambitions of three men merge, conflict and collide through 40 years of social and political upheaval as internal church politics affect the progress of the cathedral and the fortunes of the protagonists. 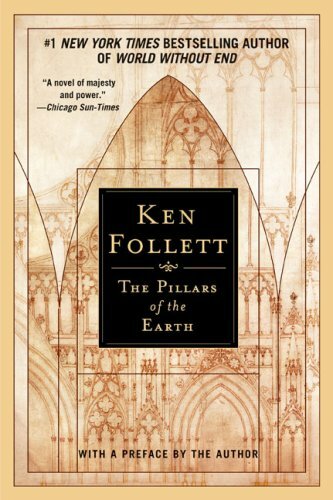 "Follett has written a novel that entertains, instructs and satisfies on a grand scale," judged PW. Copyright 1990 Reed Business Information, Inc.
About Ken Follett (Author) : Ken Follett is a published author. Some of the published credits of Ken Follett include Hammer of Eden, Eye of the Needle, The Modigliani Scandal.